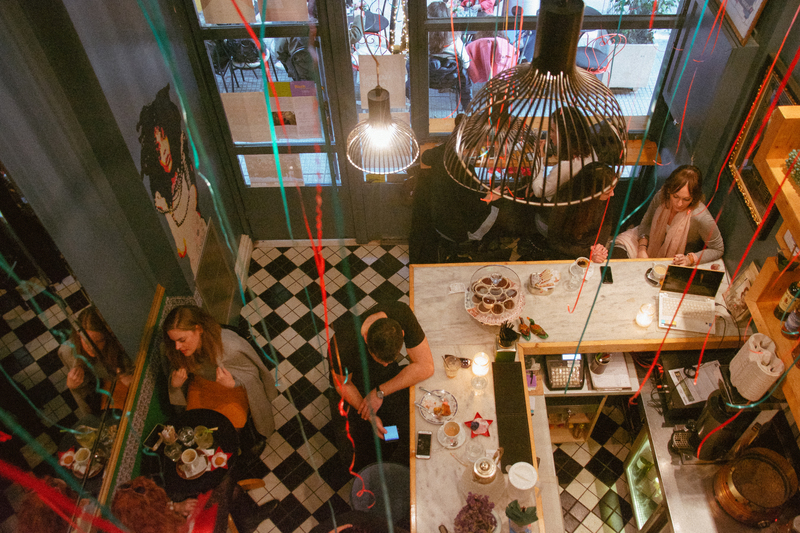 Piece of Cake in Thessaloniki was born back in 2011 when two sisters decided to open a charming little French-esque café tucked away in a little street right off of Tsimiski Street. 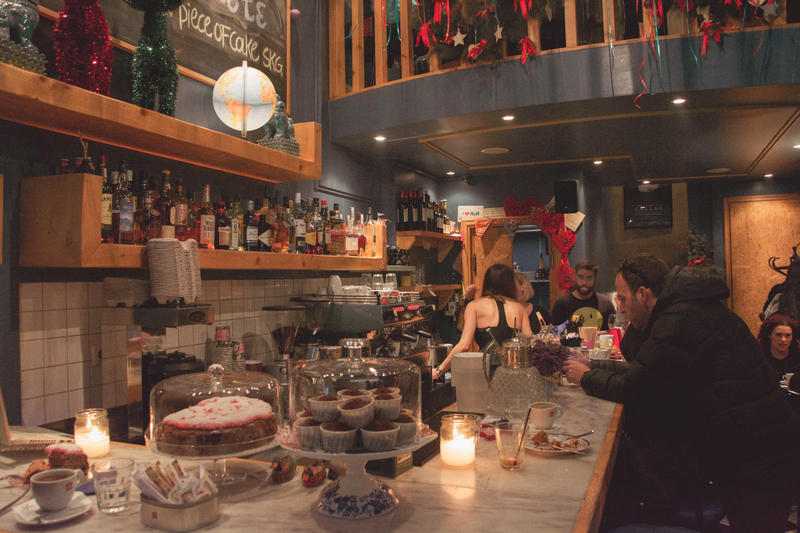 Although it is not the easiest café to notice, as it is tiny in size, once you go there you will want to come back again and again due to the French spirit it captures. 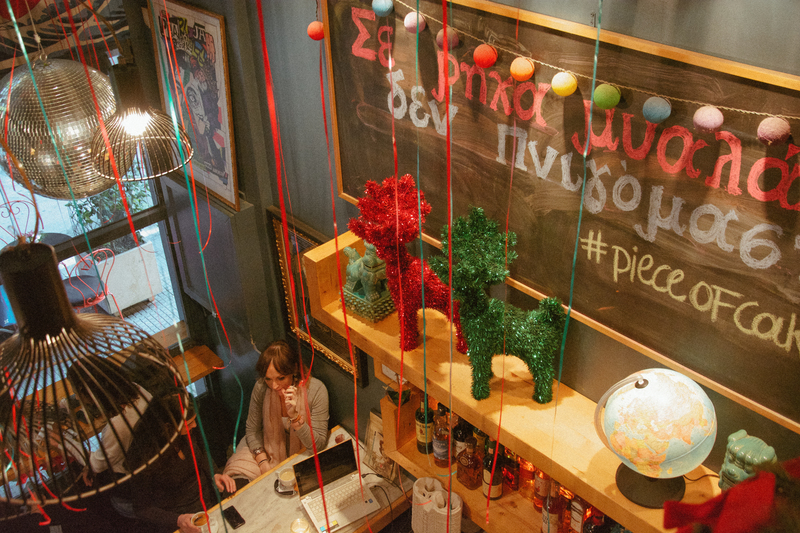 Piece of Cake has quickly become one of my favorite spots in Thessaloniki as it provides a warm and friendly environment. 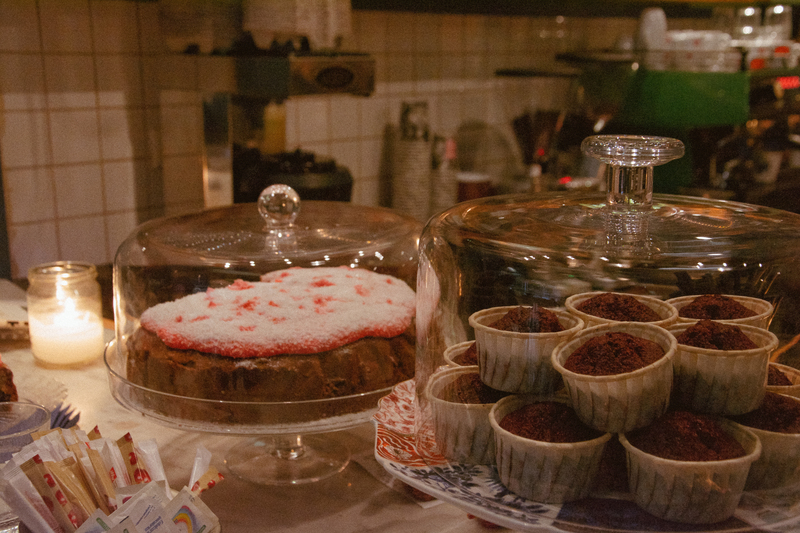 Homemade sweets such as red velvet cake or chocolate cupcakes are made daily to satisfy anyone’s sweet tooth. You’ll never know what the dessert of the day will be so it is always a pleasant surprise to try one of their newest creations. 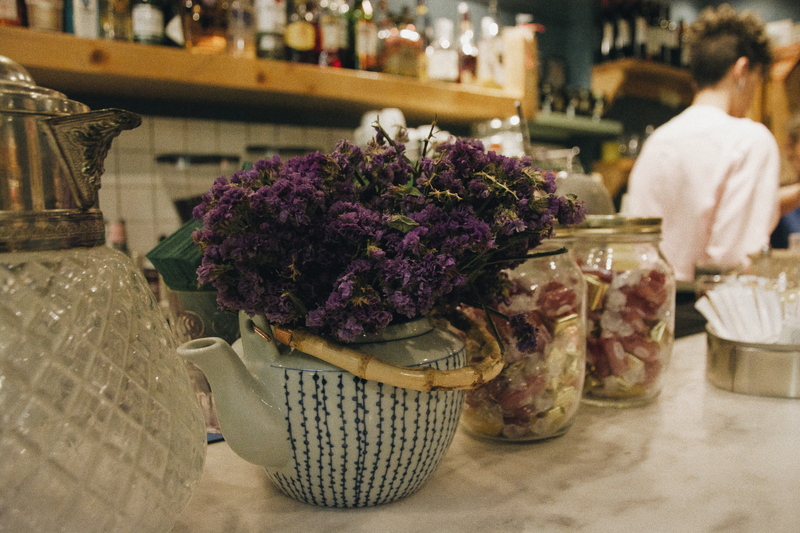 Come during the day and enjoy their sweets along with one of their many teas or homemade juices. During the evening hours you will be pleased to find out they have a long list of delicious cocktails. 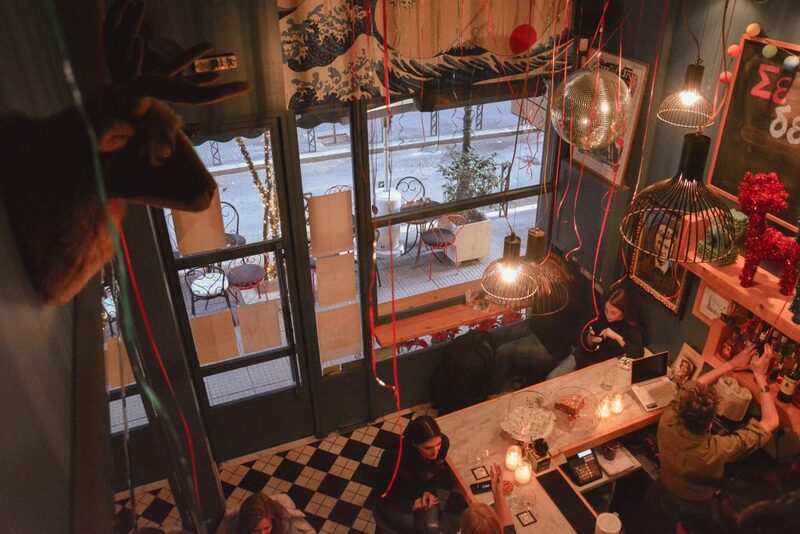 Piece of Cake in Thessaloniki was designed by the two sisters to include their own personal flare and touch. My favorite seat in the café is right as you enter to the left, right between the window looking out onto the street and the bar. “Coincidently” the homemade cakes are just an arms reach. Strategically placed right on top of the bar you will also notice a black board where a chosen quote or saying will be written. Their favorite captions will even be posted up there for a couple of weeks. 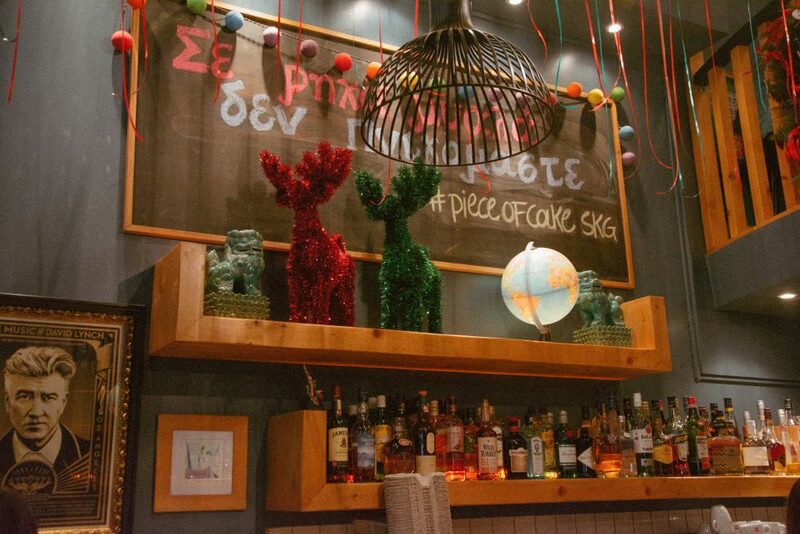 If you are visiting Thessaloniki or just a local, be sure to check out this delightfully little cafe! 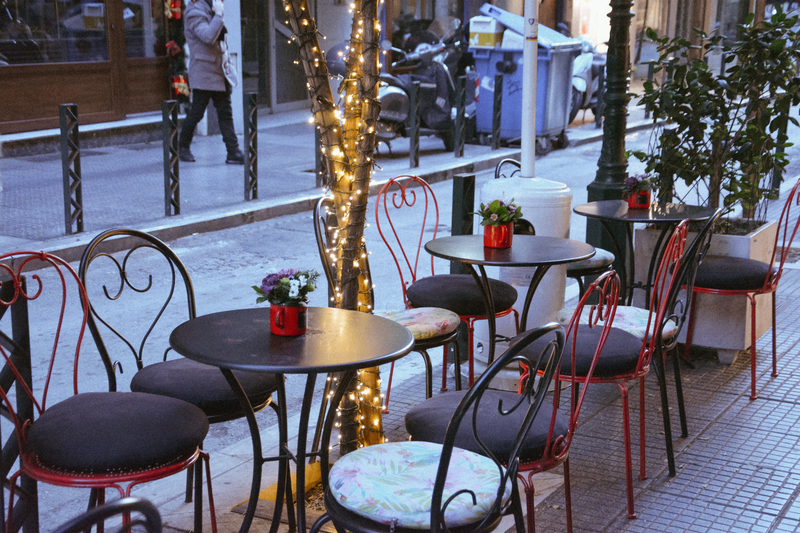 You can read more about my favorite spots in Thessaloniki here!